Chemistry students from seven Chicago public high schools will team up with university scientists this summer to study the impact of toxic metal contamination on local communities. The effort is part of a nearly $450,000 National Science Foundation grant awarded last month to two University of Illinois at Chicago professors to raise awareness about the health consequences of heavy metals as an issue of environmental racism. The project, called “The Poisoned Onion” in reference to the Native American origin of the city’s name, will help Chicago Public Schools staff teach chemistry by examining toxic metals found in students’ neighborhoods. Over the next three summers, Morales-Doyle and Alejandra Frausto, a chemistry teacher at Sarah E. Goode STEM Academy in the Ashburn community, will hold institutes that bring together high school teachers and students, scientists and community organizers to plan youth science projects in high school chemistry classes for the following school year. UIC professors Kathryn Nagy, left, and Danny Morales-Doyle are heading a project that received a National Science Foundation grant to educate high school students and their teachers about urban pollution. (Courtesy of UIC) The projects will include lessons where students collect soil and water samples and have them analyzed at labs of partner universities, which include UIC, Northwestern University and Loyola University Chicago. Students will then review their data and present findings to the community at a “Poisoned Onion” conference hosted by UIC. The goal is to reach 500 to 600 students during the three years of the grant program. The project will highlight areas of extensive heavy metal contamination in the city that might require remediation, while also educating communities on how to prevent exposure to heavy metals. It will also “position Chicago teachers and students as change makers who are capable of addressing the crises of inequity in science education and environmental contamination that matter deeply to them,” according to NSF’s abstract for the grant. Research conducted by the Environmental Protection Agency shows that contamination from toxic metals affects a disproportionate number of minority, low-income communities. Recent examples in Chicago include exposure to petcoke dust and manganese for residents near the Calumet River industrial corridor on the city’s Far Southeast Side. Last year, nearly 1,000 residents of East Chicago were forced to find new homes after the closure of a public housing complex with high concentrations of lead and arsenic in the soil. “Urban residents often are not aware that their homes are built on or near an industrial site where metals were released to the local environment,” Nagy said. May 9: Issues impacting the Great Lakes and communities surrounding the massive freshwater system will be at the center of a two-day conference in Chicago starting Wednesday. April 29: The head of the Environmental Protection Agency told residents in East Chicago on Wednesday that the agency had no plans to close its Chicago office. 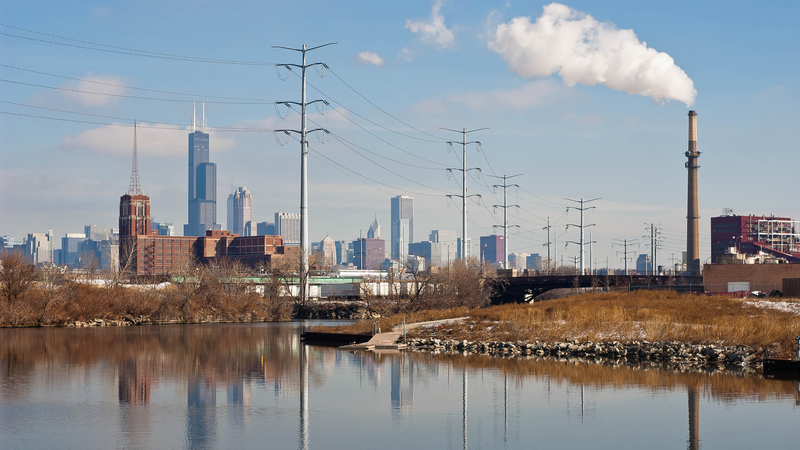 April 11: In 2015, Chicago air pollution reached elevated levels for a total of 151 days, a new report shows, increasing the risk of premature death, asthma attacks and other negative health effects for city residents.